Few aspects of school bus loading and unloading are more dangerous than the appropriately-named “danger zone.” The danger zone includes areas near the bus where a student cannot be directly seen by the bus driver, and where incidents involving other vehicles are most likely to occur. The danger zone can be considered to be a rectangle stretching 10 feet from the bus in any direction, with the most dangerous areas being the immediate front of the bus as well as anywhere within arm’s reach of the back half of the bus. 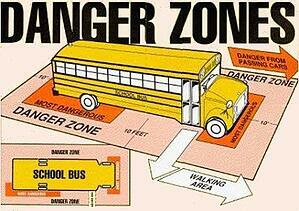 Danger zone awareness is crucial to school bus safety. Both the driver and the students need to be aware of the danger zone at all times. Here are some tips for reinforcing this vital piece of safety information. Don’t just talk about the danger zone. Show it to students. Whenever possible, your school bus orientation should involve taking the students to a bus and showing them exactly where the danger zone is. That will help them remember how far away from the bus they should stand. Let a few students sit in the driver’s seat too, so they can see for themselves how little visibility there is. Students should always be aware of their surroundings. Unfortunately, motorists ignoring the stop-arm continues to be a problem and there’s an ever-present risk that a driver will drive past. Students should always look to the right before exiting the bus, then look both ways if they need to cross the street. An occasional drill can help students remember this. Ideally, your school bus routing should avoid student street crossings. Have procedures for retrieving lost items. One of the most dangerous things a child can do is drop an item in the danger zone, then bend over to pick it up. At this point, they will be completely invisible to the driver and most at risk. Students should be told to never pick up dropped items on the road. 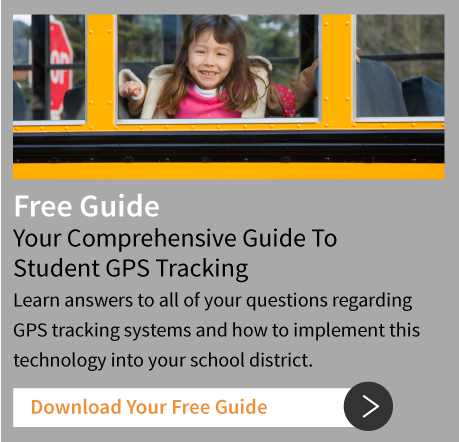 The driver should develop then tell students the rule for retrieving something that was dropped. Drivers should always count heads. 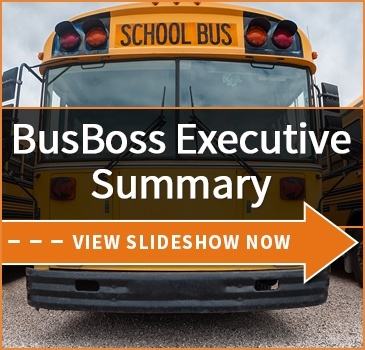 Drivers should do headcounts any time a group of students is getting on and off the bus. That will make it far more likely they’ll notice if a student disappears into a blind spot without re-emerging a few seconds later. 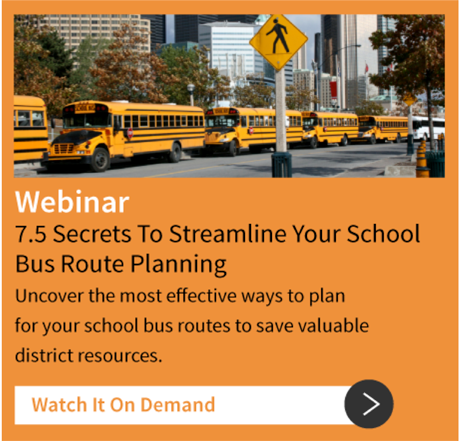 School bus safety procedures are a crucial aspect of running bus routes. How does your district keep its students safe in the danger zone?